(Newser) – The usually über-tolerant Dutch will likely soon make the Netherlands the latest European nation to ban the burka. The ban—as well as a deal to cut immigration in half—is part of a pact to form a new minority coalition government that will include the right-wing Party for Freedom. "We want the Islamisation to be stopped," said party leader and member of parliament Geert Wilders, who's going on trial next week for inciting hatred against Muslims. The three-party pact hasn't yet been approved, but is expected to pass with most provisions intact. 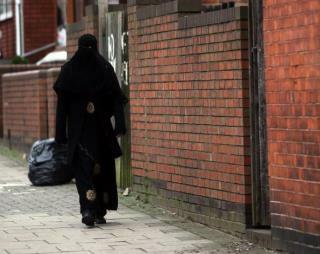 Belgium and France have already instituted burka bans in public areas. The Dutch law would likely affect some two dozen women, reports the Telegraph. Muslims make up 900,000 of the 16.5 million Dutch population. Wilders also wants a tax on all Muslim veils and a ban on the building of new mosques, but those issues aren't part of the pact. (Islam, Koran) - slay the [non believers] wherever you find them. Arrest them, besiege them, and lie in ambush everywhere for them. - Surah 9:5 Ban the Burka. Seriously, two dozen women? The amount of resources people are willing to waste to insult Muslims is mind-boggling to me. Prostitution is fine, legalizing marijuana is fine, but covering your face? THAT's what the government feels the need to intrude on? Ridiculous.